When choosing your baby’s first bed, you can trust (UK based) Clair De Lune to give you the ultimate in style and comfort. Special care and attention has been given to each of these individually hand-crafted moses baskets, which are made using strong natural palm, creating a safe and secure sleeping environment for your baby. 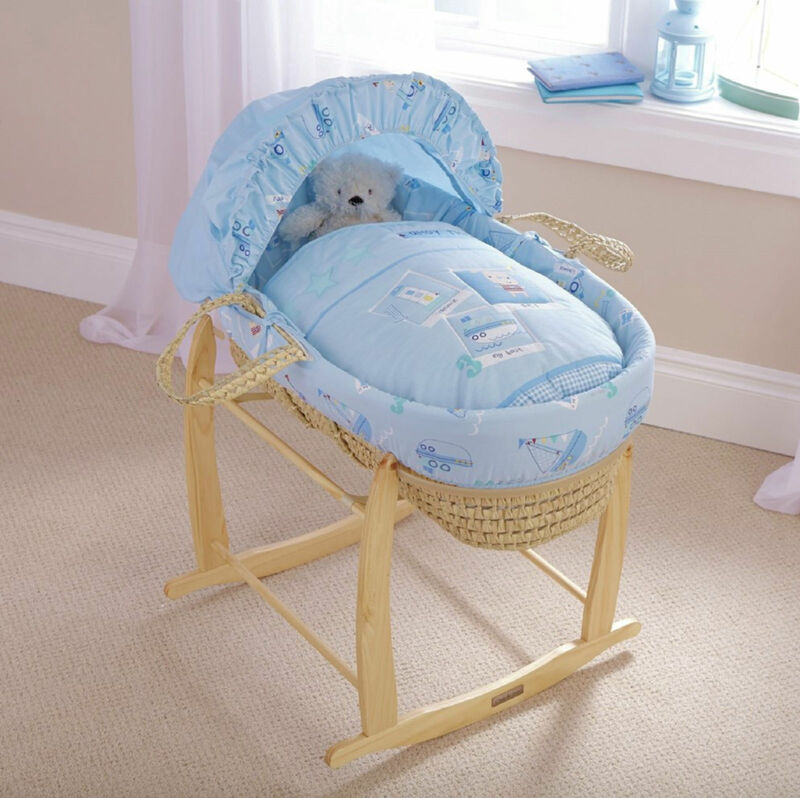 Complete with safety mattress and a liner for comfort and an adjustable/removable hood, the nautical "Ahoy" design provides you with cool blues and aqua shades to give a lovely fresh feel to this deluxe moses basket. 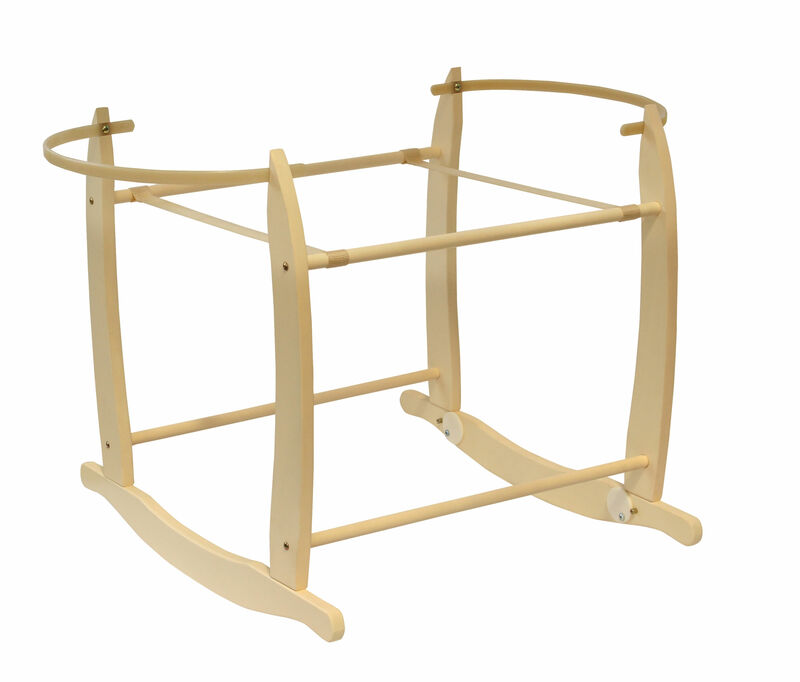 The included Clair De Lune deluxe wooden rocking stand accommodates a range of moses basket sizes and is perfect for use next to your bed during the first stages of infancy. The rocking stand has a gentle side to side rocking motion which will help baby drift off into a peaceful sleep, alternatively it can be made stationary with the “stopper” discs supplied.